Due to popular demand, SageCircle is expanding our seminars beyond the Silicon Valley. 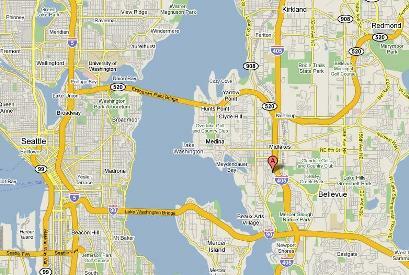 The first location is Bellevue, strategically placed between Seattle and Redmond. In addition, for those of you in Portland, it is only a three-hour drive (faster and much less expensive than flying) up lovely Interstate 5. Seminars are held from 12:30 pm to 5:30 pm on day one and 8 am to 11:30 am on day two. This approach has two benefits. First, out-of-town attendees can use the morning of day one to travel to the conference site and then return home the afternoon of day two. Second, full day seminars can be like drinking from a fire hose with fatigue settling in the middle of the afternoon. Our approach gives attendees a chance to absorb the first half of the content and then start the second half refreshed and armed with questions about the content from session one. The afternoon-morning approach also gives us a chance to schedule a happy hour for networking. You can sign up for either (or both) seminars by visiting www.SageCircle.com and clicking on the appropriate link on the right side of the page. Call 503-636-1500 or e-mail “info [at] sagecircle.com” to schedule a call about how SageCircle can help take your career and your AR program to the next level. Please spread the word and let’s see if we can get a great turnout in the Pacific Northwest.